This factory New Holland F156.6 F156.6A Grader Service Manual Download will give you complete step-by-step information on repair, servicing, and preventative maintenance for your New Holland Tractor. The New Holland F156.6 F156.6A Grader Service Manual is highly detailed with photos and illustrations to help guide you through every repair and troubleshooting procedure. This New Holland F156.6 F156.6A Grader repair manual PDF contains all you need to know to keep your New Holland F156.6 F156.6A Grader working right and is the only service repair manual you will need. It will help you understand, care for, and lower the repair and maintenance cost for your New Holland tractor. This New Holland F156.6 F156.6A Grader Workshop Service Manual PDF is the same service manual used by professional New Holland technicians. Every New Holland tractor service manual is indexed and fully searchable. All pages are printable, so its easy to print what you need and take it with you into the garage or workshop. Save money $$ by doing your own service and repairs! These New Holland Manuals make it easy for any skill level with these very easy to follow, step-by-step instructions! Instant download of an easy to read pdf means no shipping cost or waiting for a CD to arrive in the mail… you will receive this New Holland F156.6 F156.6A Grader Repair Manual immediately via instant download upon completion of payment via our secure payment processor. We accept all major credit/debit cards/paypal. 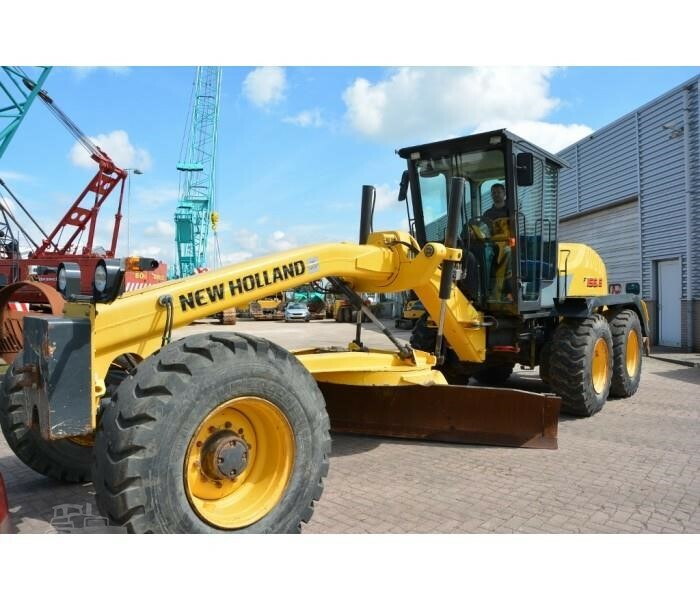 NEW HOLLAND F156.6 F156.6A Grader Repair Manual an outstanding service manual that covers every aspect of this grader even down to the operators station. The operator positioned for unobstructed all-round visibility thanks to the generous, tinted glazing to the front and floor to ceiling glazing at the sides. Even when seated, the operator has a full view of both moldboard ends. This manual covers every aspect of service and repair from the engine, to the transmission, to the brakes, even down to the control console which can be locked in four working positions. With a handy PDF manual, the service procedures are always easily accessible, enabling the technician to concentrate on his work.